Microsoft has started rolling out Windows 10 Redstone build 14251 to the Fast Ring members of the Insiders program. Here are all the new features and known issues. Gabe Aul had promised that we will be seeing an accelerated rate of Insider preview builds starting from this month. 14251 is the second preview build coming in January, following Windows 10 11102 earlier this month. Bringing some under-the-hood optimizations, performance improvements and regular bug fixes, there were no major features expected from this preview release. If you are a Fast ring member of the Windows Insider program, you can download this update right away. However, be cautious as this could potentially be a buggy release. Microsoft has been very clear that the increased frequency of preview builds mean we get to experience more bugs than the new additions made to the OS. Hang on though, as we expect to see more visible changes coming after the next few preview builds. 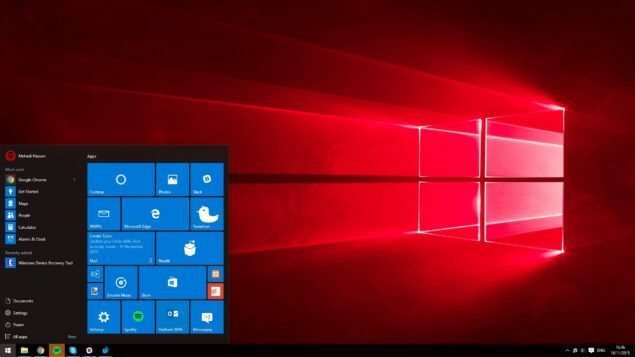 Following are the changes and bug fixes that this latest Windows 10 Redstone update is bringing in, along with all the known issues, as shared by Microsoft. – We fixed the issue where some PC games would crash switching from windowed mode to full screen, upon game resolution change, or upon launch due to a bug in Windows graphics stack. So play your games! If you run into any issues – please let us know by reporting in the Feedback app and include the game title. – We fixed the issue where applications such as Narrator, Magnifier, and third-party assistive technologies may experience intermittent issues or crashes. – We fixed an issue where File Explorer would crash frequently when DPI settings were at 175%. Let us know if you find something new in this latest Redstone update.